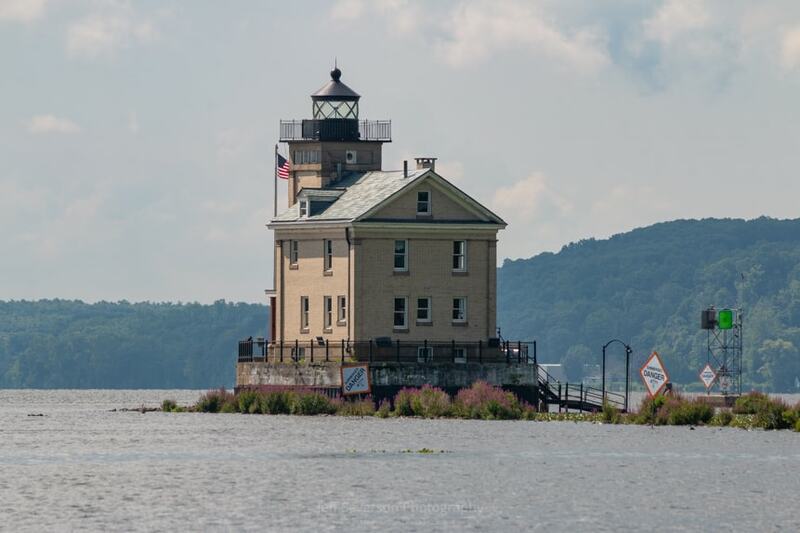 A photo of the Rondout Lightouse which was built in 1915, replacing the earlier 1867 lighthouse, and which sits on the west side of the Hudson River at the entrance to Rondout Creek. This shot was captured from rail trail at Kingston Point Rotary Park. This photo was taken on August 9, 2018 with a Canon EOS 70D at 250mm and 1/200 second exposure.